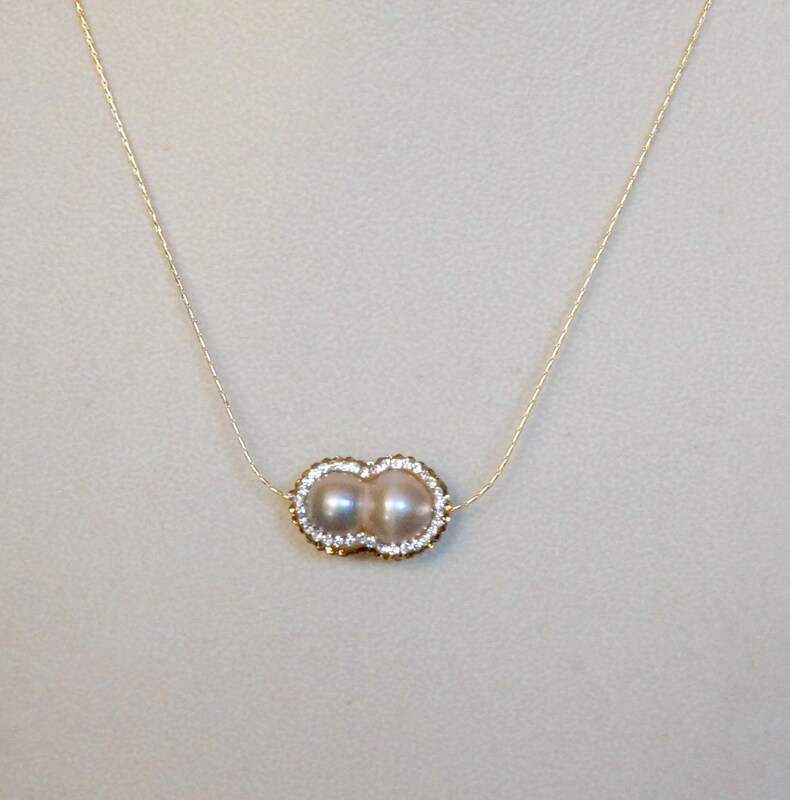 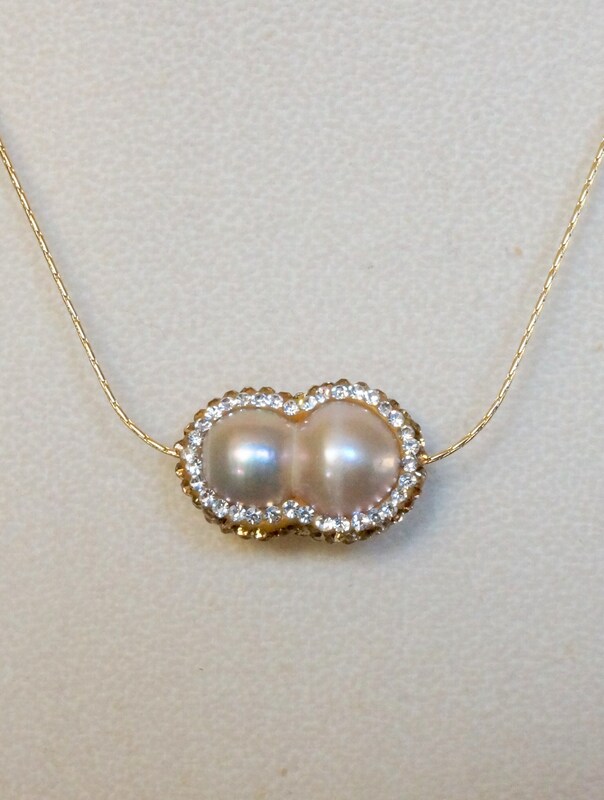 Here you have a cream color peanut pearl pendant with micro pave rhinestones in rose gold and clear. 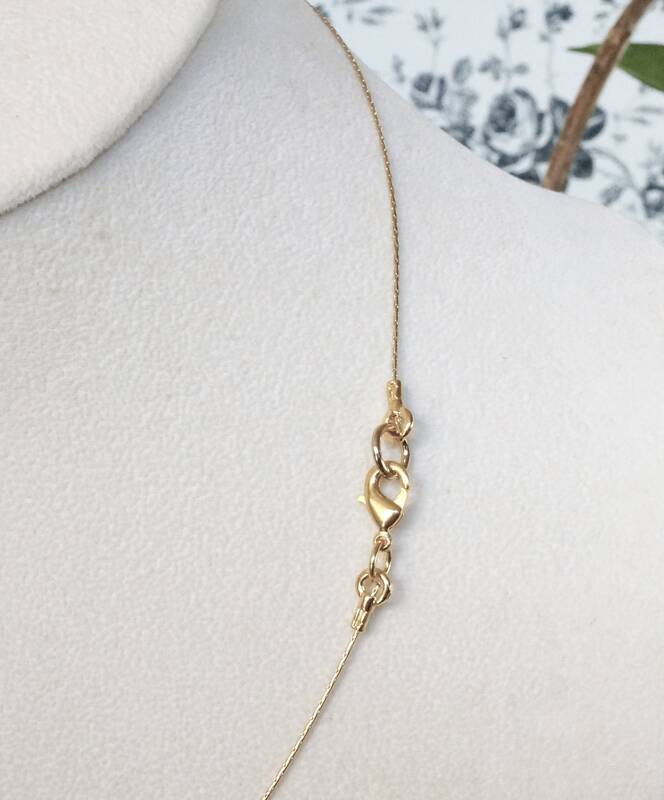 It hangs from a gold filled chain, 18 inches. 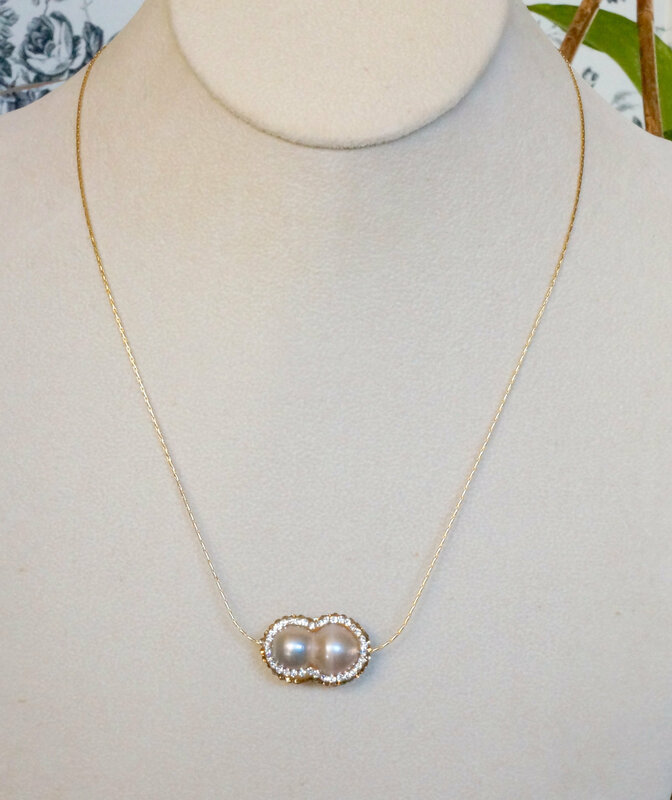 It closes with a gold plated lobster claw.